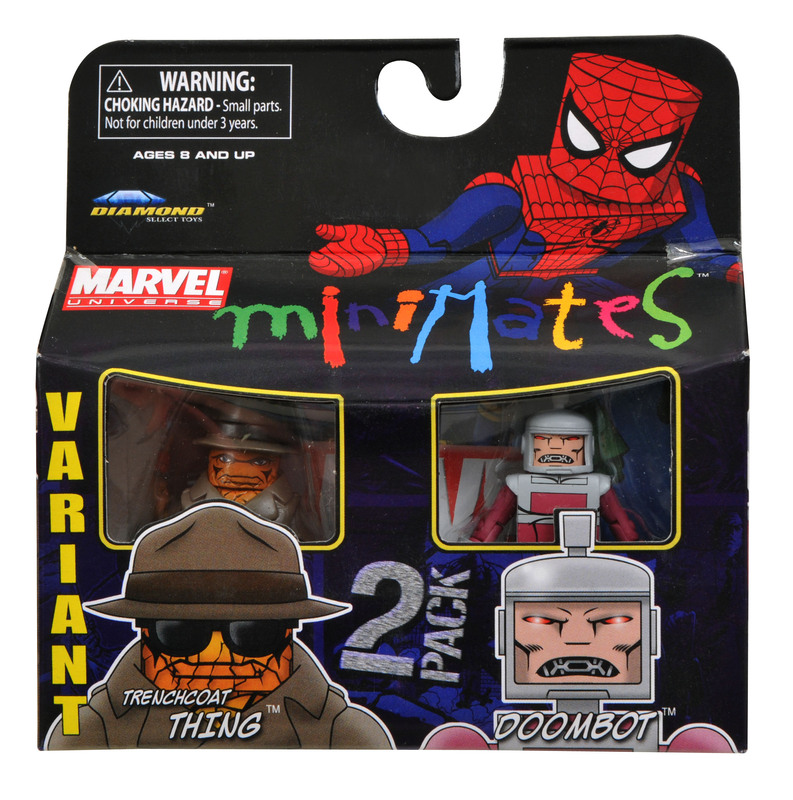 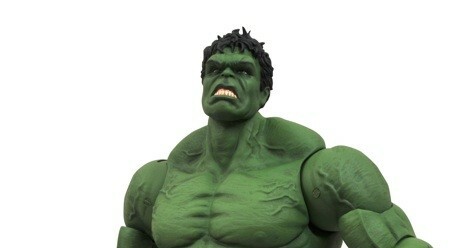 Here we have some new images of Diamond Select Toys and Art Asylum’s 37th Series of Marvel Minimates in package. 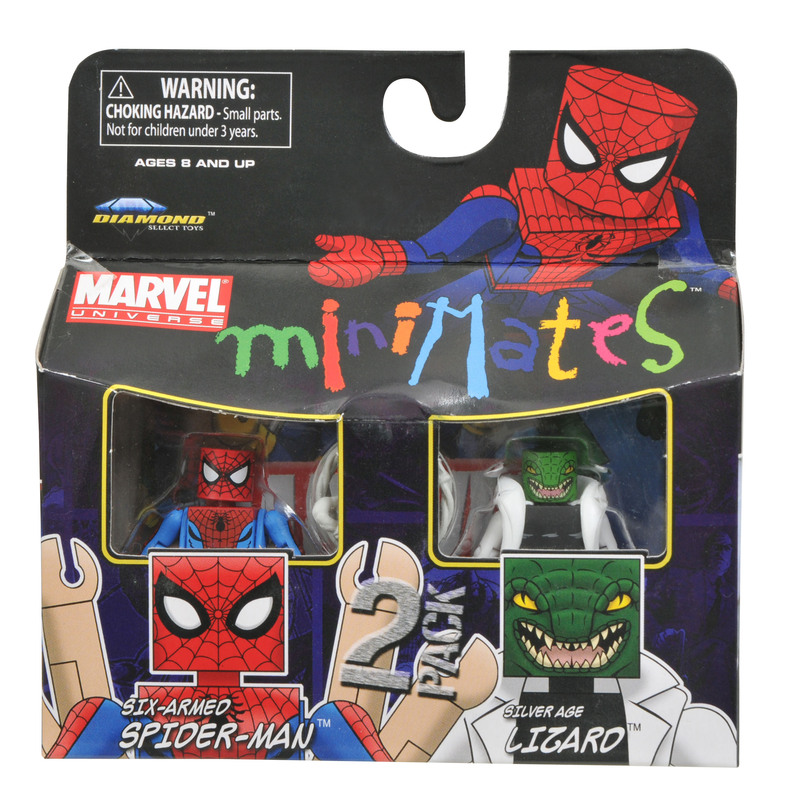 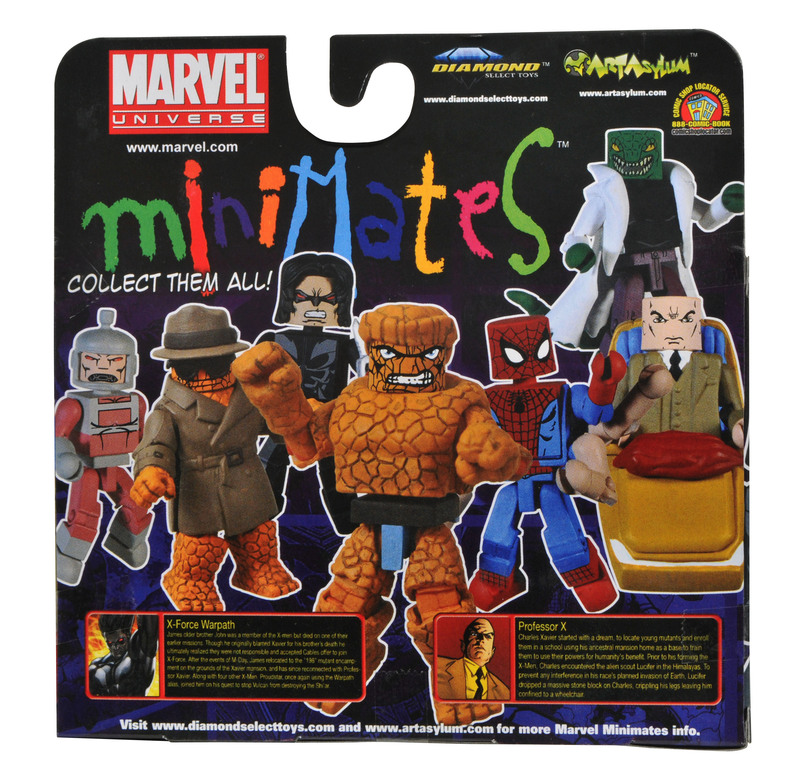 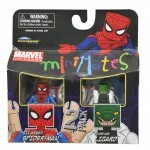 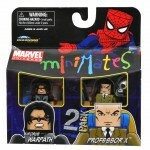 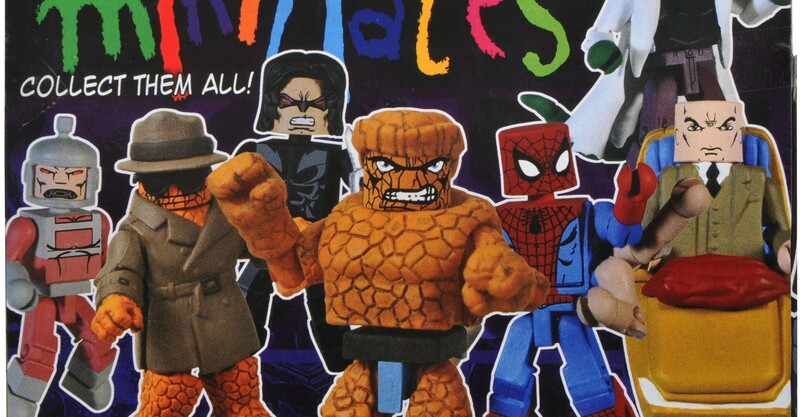 That’s right, this is the 37th series of Marvel Minimates. 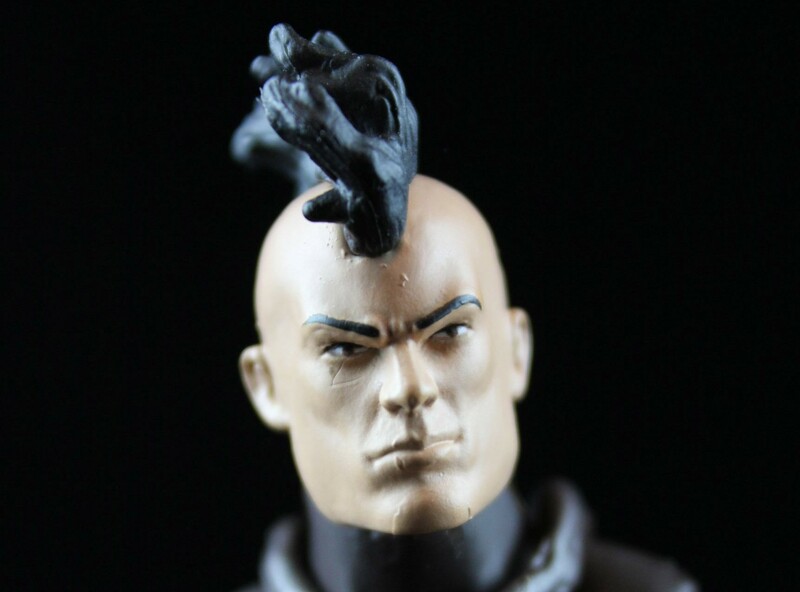 Hard to believe, I know. 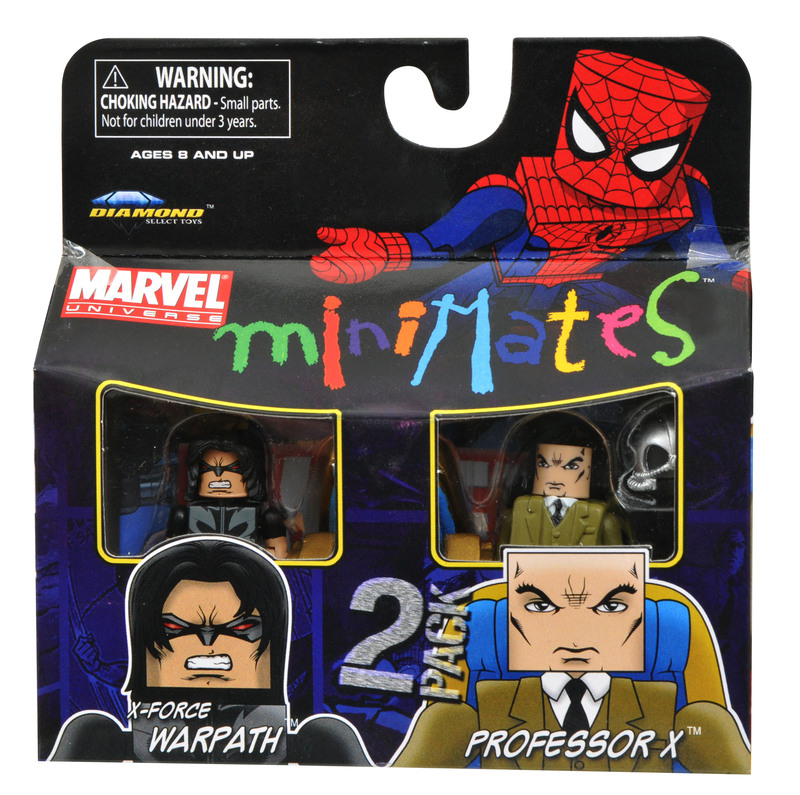 This series contains: Six-armed Spider-Man and Silver Age Lizard, The Thing and Doombot, X-Force Warpath and Professor X and the Trenchcoat Thing Variant and Doombot. 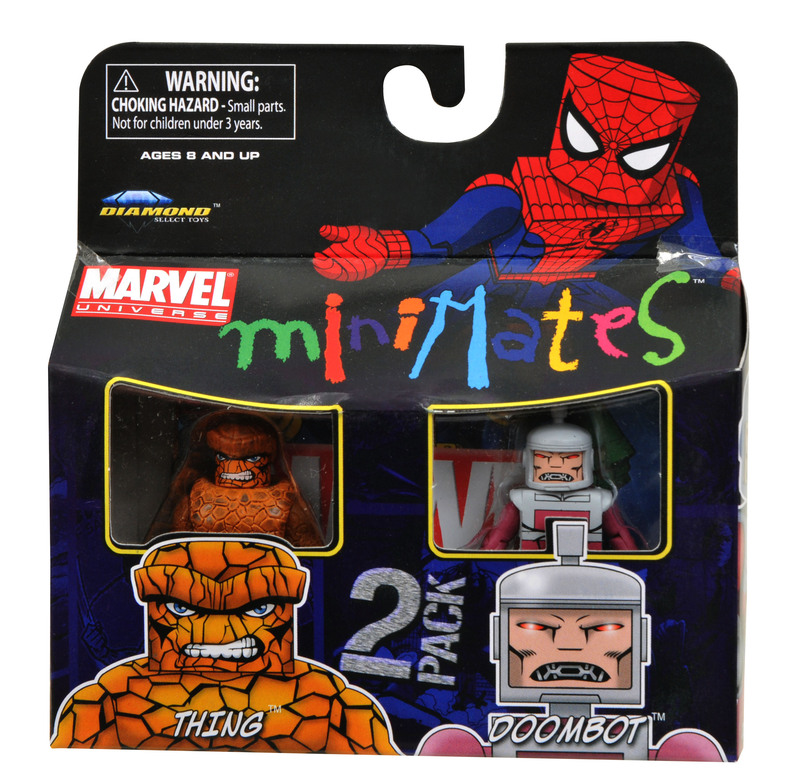 The release of these images mean we’re not far from seeing these in our local comic shops, so get ready for new Minimates!